Filey volunteer RNLI Lifeboat crew have been involved in a dramatic cliff rescue in the early hours of this morning. It was their 4th lifeboat call-out in 36 hours. After an extensive search, the female was located by the ILB crew at the bottom of cliffs just to the north of Chimney Hole. It was soon discovered that she had fallen down the cliffs and had sustained injuries to her head and legs. She was also suffering from severe cold. In complete darkness and at high water, the ILB crew, assisted by crew from the ALB, recovered the female by stretcher. 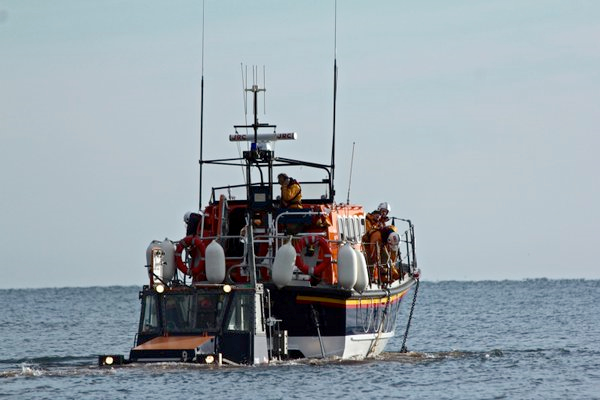 She was put on board the all-weather lifeboat and taken to Scarborough Harbour to an awaiting ambulance. “This was a challenging search and quite a difficult rescue for both crews to undertake given the conditions. However this is what we are trained to do and I must congratulate both crews on a job very well done”.